Similarly to gold price in India today, high national demand for gold in Pakistan controls gold rates in Pakistan. Gold presence in Pakistan is an integral part of its cultural and historical heritage. World’s major economic downturn triggered an even further increase for market price of gold in Pakistan. Historical gold prices in Pakistan are directly correlated with gold rate in Dubai, UAE, since Pakistan imports most of its gold primarily from Dubai. Domestic Pakistani gold mining industry is in severe distress due to lack of capital investments and inefficient gold mining technologies, therefore, Pakistan relies heavily on gold imports from other countries causing gold rates in Pakistan to go up. If you would like to learn how to get the best gold rates in Pakistan and which 7 mistakes to avoid, read on. 1. Buying from any store. However, Pakistan is not really the best place to buy gold bullions or gold jewelry, finding reputable and trustworthy stores will guarantee you avoid fake gold pieces. Ask locals you trust where they go to get the best gold rates in Pakistan. 2. Buying from multiple dealers. Once you find a reputable gold or jewelry deal, it’s recommended you buy your gold form one source to avoid extra costs and it might perhaps help you get a discount if you buy large quantities. 3. Buying rare gold coins compared to gold bullion coins will result in paying too much for the rarity factor of your purchase. 4. Buying gold nuggets is perhaps the biggest mistake you can make in Pakistan. If you are not a gold expert, it’s almost entirely impossible to assess a value of gold nuggets at a glance. In addition, gold nuggets can have embedded impurities that might significantly drive down their value once you decide to sell them. 5. 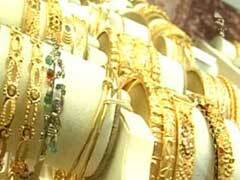 Since Pakistan imports most all of its gold, gold jewelry is more expensive there compared to India or UAE. Craftsmanship value is also very questionable. You are better off staying away from making major gold jewelry purchases in Pakistan. 6. Buying gold in rural areas is also not recommended since gold jewelry is likely to be more expensive and there’s always concern for safety and authenticity of gold. 7. Not asking for a deal is perhaps another serious mistake to avoid. In Pakistan, UAI, India and other Middle Eastern and Asian countries you simply must haggle for a deal, it simply is the rule. Ask for a discount and you will be surprised to get the best gold rates in Pakistan.